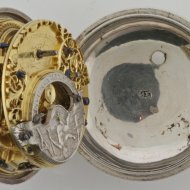 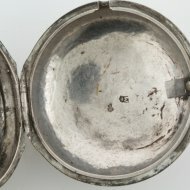 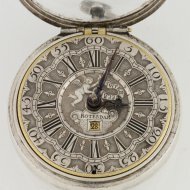 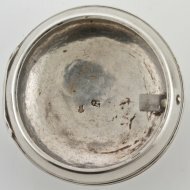 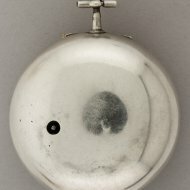 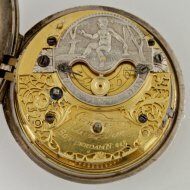 SOLD Silver pair cased Dutch verge pocket watch by Cornelis Uijterweer, Rotterdam, no 213 (also known as: Cornelius Uyterweer). 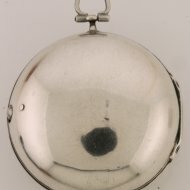 Gilded movement with mock pendulum under silver bridge with text 'ZY IS VER VAN DAN' (the loved one is far away). 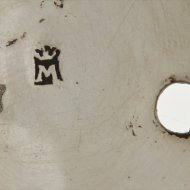 Both cases have a crowned M as makers mark. 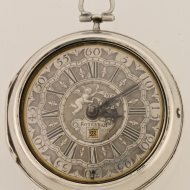 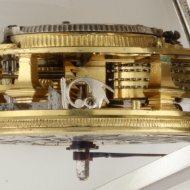 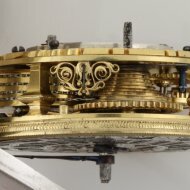 The silver dial plate has the signature VITERWEER, ROTERDAM, date view and steel hands.